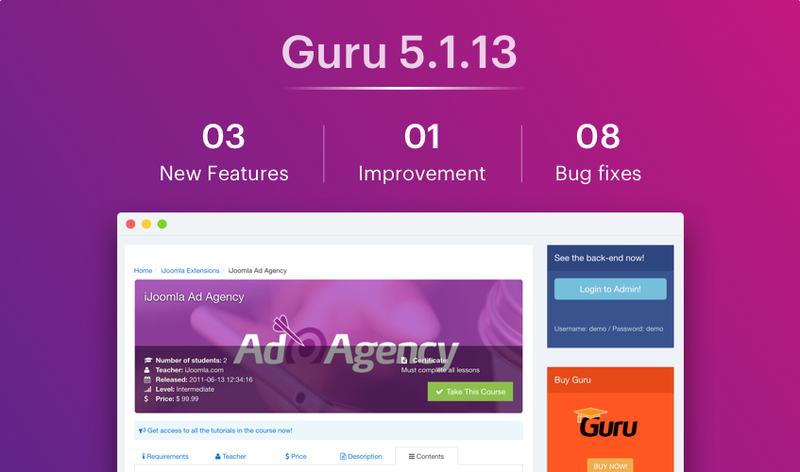 We are happy to announce the release for Joomla LMS Extension: Guru 5.1.13. This release comes with new features, improvement and bug fixes. 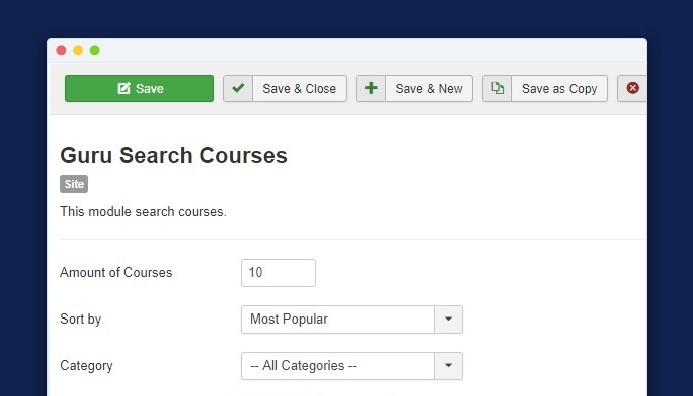 The release contains a new search module to search the Guru courses with more features improvements and bug fixes. 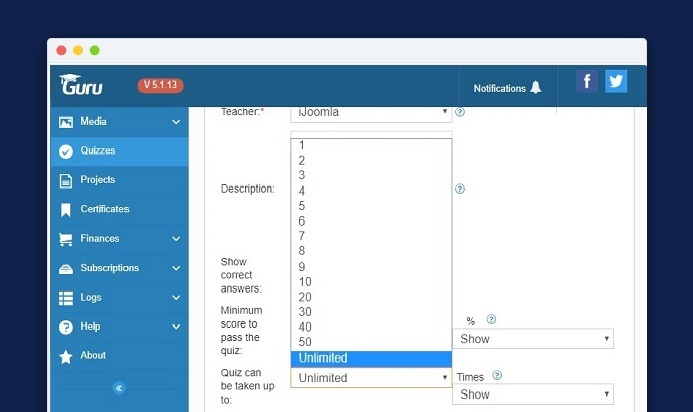 More options for how many time that quiz is taken: This option allow admin to add the limit for how many time a quiz can be taken. You can set the option via Edit a quiz. Change 'status' actions: This feature allows admin to publish the course only for the older user, Once a course is not active it will work only for older students and not show to a new student.